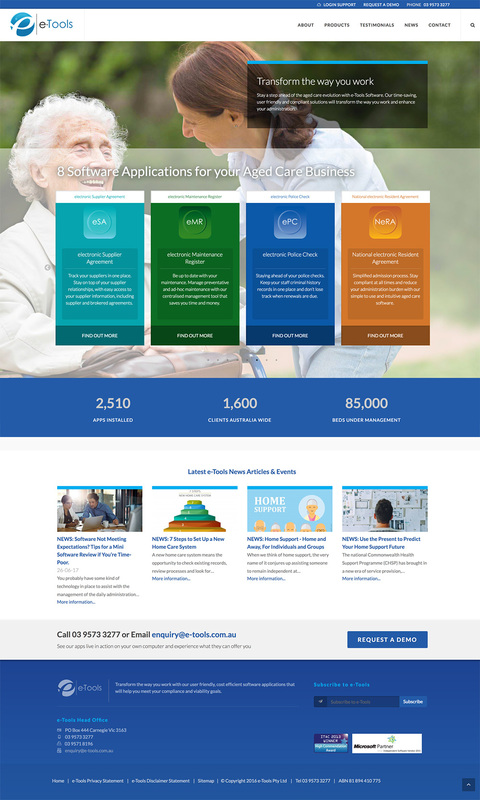 e-Tools has a strong focus on providing the Australian aged care provider with easy to use software applications that improve compliance, management and administrative efficiency. With a background in management of aged care facilities and consultancy, Managing Director and founder David Powis had a rare insight into the everyday challenges of managing an aged care business. In response to the needs of the industry, David created a software company that focused solely on enhancing the administrative efficiency of the business. This saw the inception of e-Tools, with its pioneer residential agreement software application, eRA (electronic Resident Agreement), the first of its kind in Australia. 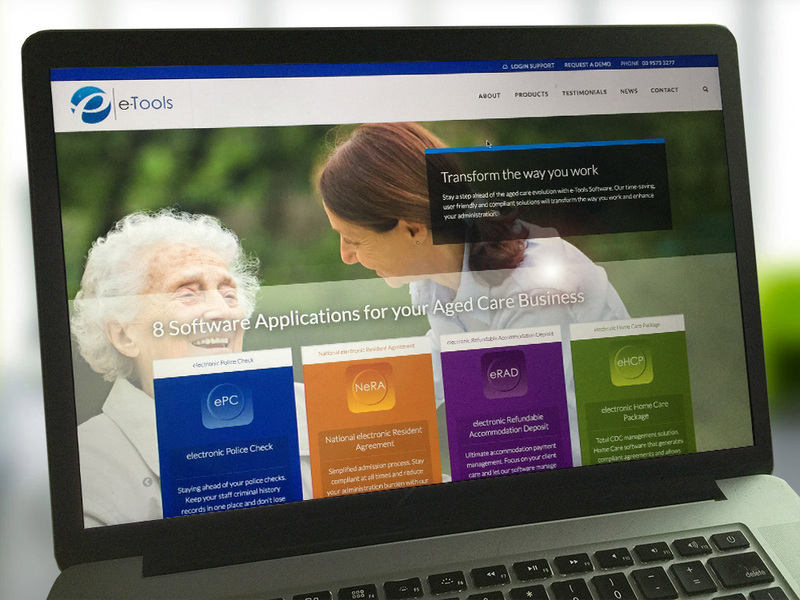 Today, e-Tools delivers 8 software applications spanning across residential care, home care and home support. With an experienced team of Software Developers, Client Support Staff, State Managers and Business Managers, we strive to maintain the high standards that our clients have come to trust, whilst we continue to develop other software solutions. The Story Group designed and built an easy to use content management system so the company can manage this content incredibly easily. We built the site to be fully responsive, working across mobile, tablet and Desktop devices.